The Court of Appeal has ruled that it is not possible to sue the police in negligence for not filling in an Enhanced Criminal Record Certificate (ECRC). 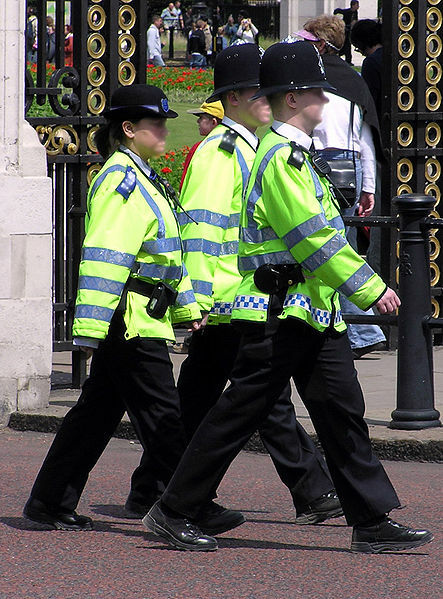 The ruling shows that the courts are still reluctant to allow negligence claims against the police, and provides useful guidance as to the duty of care of public authorities towards the general public. He heard no more of the matter until, in July 2005, he applied for an ECRC as part of a teaching job application. When asked, Nottinghamshire police revealed that he had been arrested and could not be charged due to insufficient evidence, but did not enlarge on those details, save to say that the relevant police officer had retired and therefore it was not known why Mr Desmond was not charged. Mr Desmond sued the police in negligence. The question before the court of appeal was whether the police owed Mr Desmond a duty of care, which is an essential ingredient of any successful negligence claim. Early in the judgment, Lord Justice Leveson made clear that if there was a duty of care, then the police had arguably breached it for not providing enough detail for the person compiling the ECRC to decide whether to disclose the information or not. The court went on to confirm, in strong terms, that the police had no duty of care towards Mr Desmond, for four main reasons. Secondly, the statute does not provide or envisage a remedy in compensation or damages for breach of statutory duty. It is not, therefore, for the court to invent one. On the final point, it is a well-known principle, going back to the 1914 case of East Suffolk Rivers Catchment Board v Kent, and through a number of notable recent judgments beginning in 1996 with Stovin v Wise, that public authorities operating functions imposed by statute do not have a common law duty of care unless it is provided for by the statutory language, or in special circumstances where an authority has assumed an obligation to a claimant to act in a particular way. An example of special circumstances would be when an NHS surgeon has agreed to operate on a patient. But not, as the court of appeal made clear, in cases involving ECRCs. This ruling is the latest to consider the controversial central police database and ECRCs, which are currently under review (hat-tip 11KBW). Since ECRCs are required for an increasing number of jobs – including any working alone with children or vulnerable adults – their legal status, and the checks and balances available to challenge poor decisions made to disclose information, is important to many. This case takes those checks and balances no further. ECRCs were the subject of a 2009 Supreme Court judgment, R(L) v Commissioner of Police of the Metropolis, in which the court ruled that information held on the central police database was part of a person’s “private life” as protected by article 8 of the European Convention on Human Rights. As such, when the chief officer of police is deciding whether to disclose information held on the database, he has to decide whether a job applicant’s right to respect for private life outweighed the social need to protect children and vulnerable adults. So, a poor decision relating to an ECRC can give rise to a claim for damages under section 8 of the Human Rights Act. Indeed, Mr Desmond has brought such a claim. But he wanted to take his grievance further, and to challenge the police in negligence. It was highly unlikely that the court would allow this expansion in the law of negligence. Courts are generally reluctant to impose new duties of care on public authorities, and this is particularly so in the case of the police. The fact that Mr Desmond had other remedies available to him, including a Human Rights Act claim, made it all the more unlikely. The view of the English and European courts has traditionally been, as stated by Lord Justice Leveson, that “public policy requires the law to hold that the police do not owe a duty of care to victims of crime, for instance, or witnesses in the performance of their normal operational duties“. The reason is that the police should not be inhibited from going about their crime prevented duties for fear of damages claims (see this previous post for more on the basic principles). The only exceptions are in cases where the police assumed responsibility to take reasonable care in the particular circumstances of the case. This was not such a case. It seems unlikely that the English courts will allow for the police to be sued in negligence in other scenarios, unless this is the will of Parliament or, perhaps, the European Court of Human Rights. For Mr Desmond, he will at least be encouraged by the criticisms of the police’s conduct of his ECRC check, meaning his human rights claim seems likely to succeed.